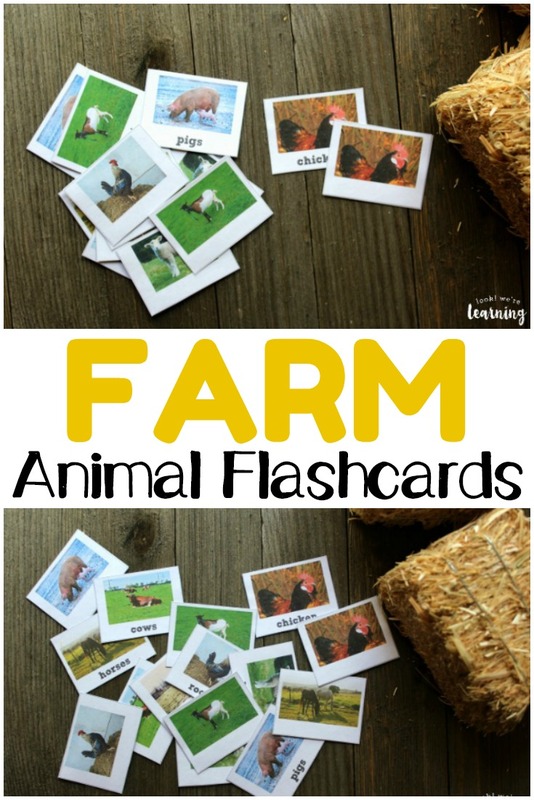 Printable Farm Animal Flashcards - Look! We're Learning! When I was about seven years old, we took a field trip to the dairy farm down the street from our elementary school. I remember being amazed at how huge the cows were. They’re wayyyy bigger in person than when you see them out of the car window as you ride by. Especially when you’re seven. Our local zoo has a petting farm with goats, ponies, and pigs, so the kids have gotten a chance to see and touch these animals before. 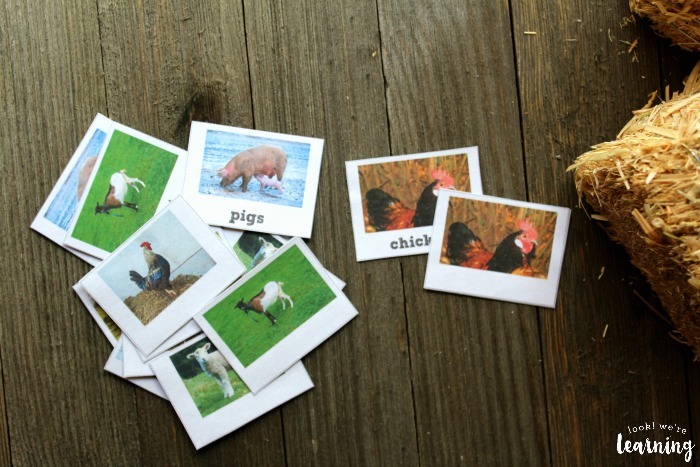 So I thought it’d be fun to share a new set of free printable flashcards: Farm Animal Flashcards! 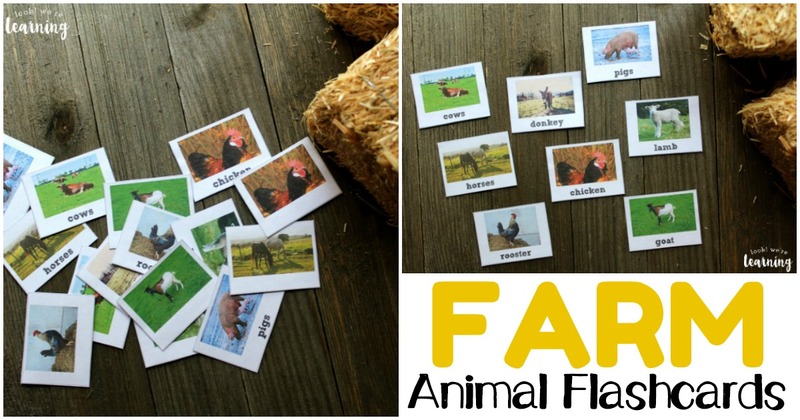 These are great for learning to identify animals, making matching games, and more! Read on to see how to get your set! 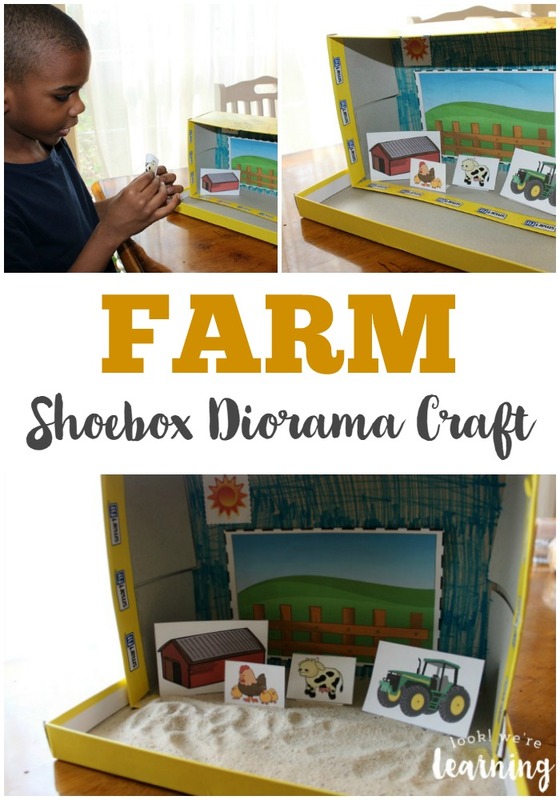 And, for more farm fun, don’t miss our list of farm books for kids to read or our simple farm shoebox diorama craft! 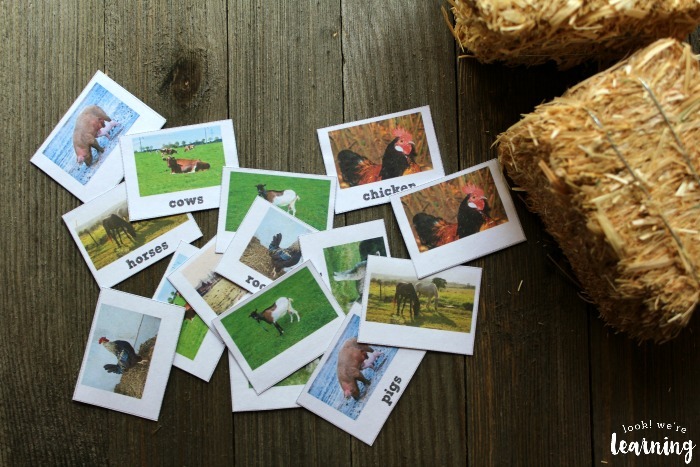 Help your children learn to recognize common farm animals with these flashcards! 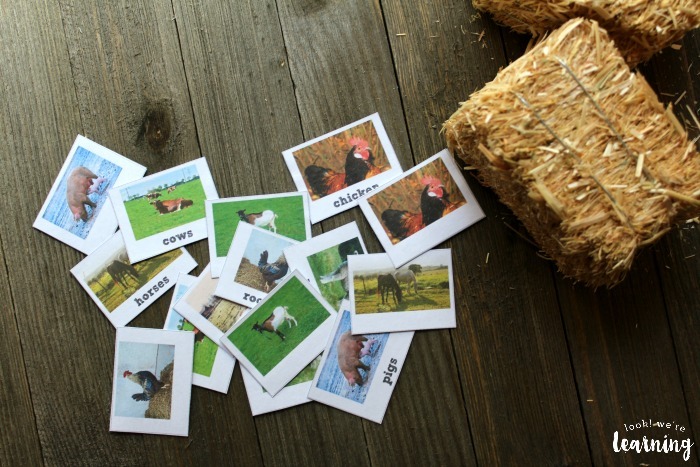 There are two sets: one with animals and their names and a second set with no names. These would be a fun game for toddlers also. 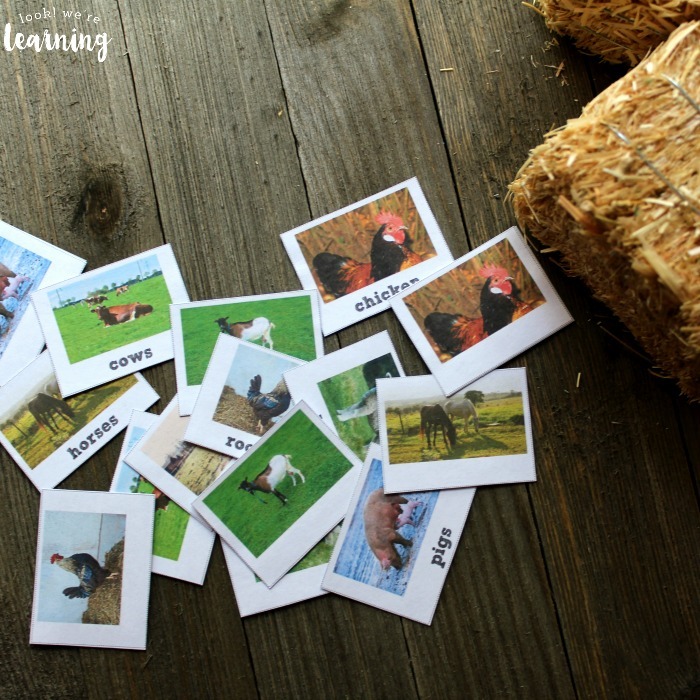 You can practice making farm animal sounds and asking the kids which animal makes which sound. Even better, have them make the sounds and then quiz you! 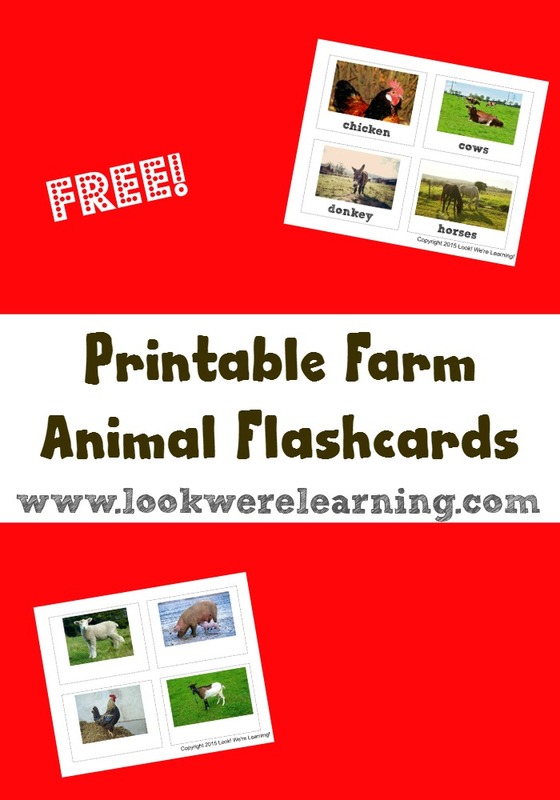 Scroll down to get your free farm animal flashcards! 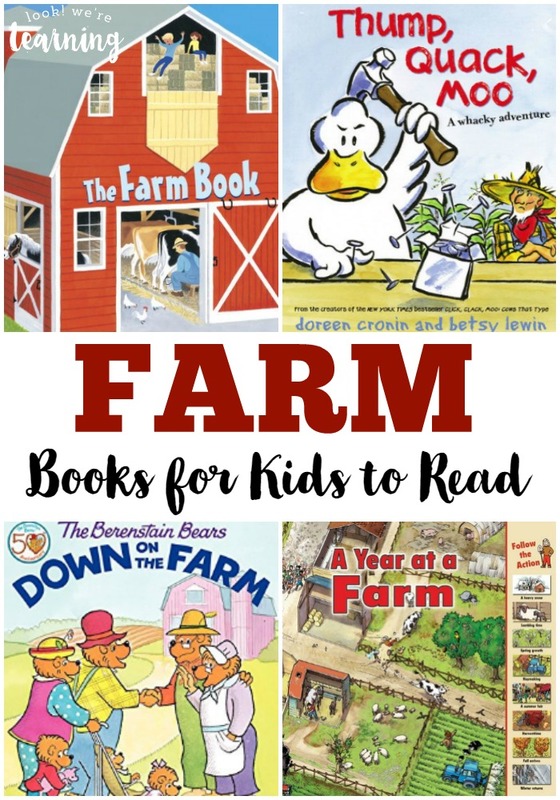 Don’t forget to stop by and check out our other farm-themed fun! 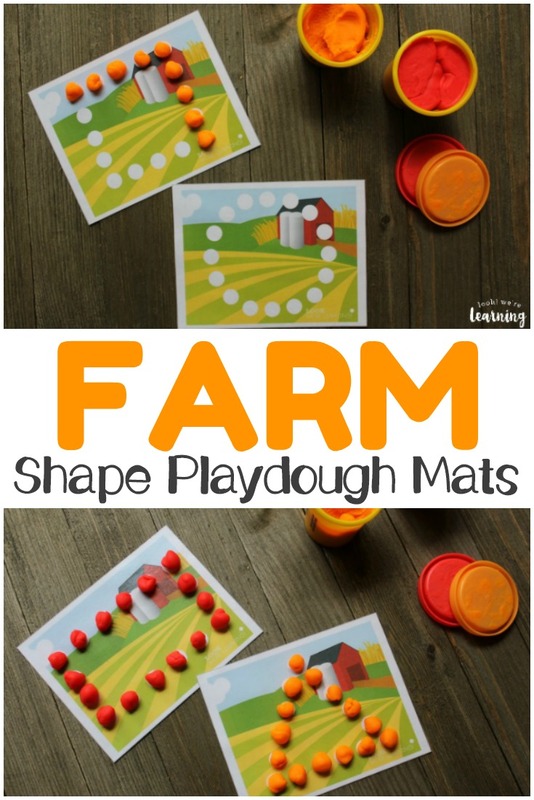 Find more educational resources on my Homeschool Printables Pinterest board! 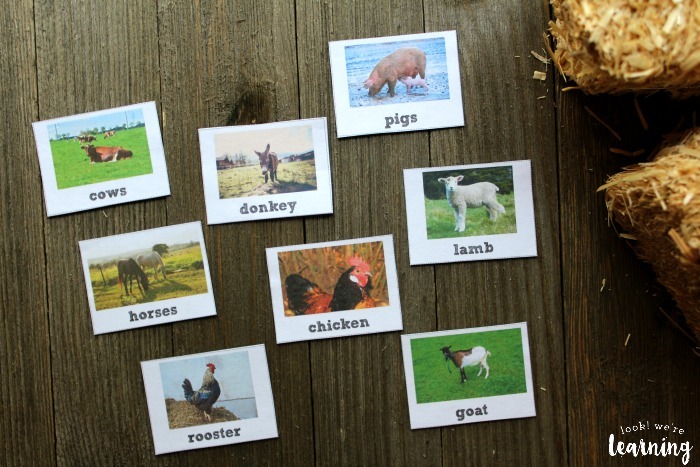 To get your copy of our free Printable Farm Animal Flashcards, click the image or the link below to visit our Store!